You have worked so hard to acquire your fleet of cars. Don’t you think they are worth protecting? Car accidents, floods, hooligans, theft and lots more, are some of the things that can happen and make you lose your car. This is why it is important to prepare for these unforeseen circumstances by purchasing the right auto insurance in Orlando FL. If you will like to purchase the best auto insurance Orlando FL that will offer adequate protection for your beloved car in the event of disaster, accident, or theft, you can always turn to Insurance Land. At Insurance Land protecting car owners against the loss of their car is what we do. Insurance Land represents only the leading Florida auto insurance carriers. Remember no single car insurance company can provide the best coverage in the Orlando, Florida area at the best price for every situation. For several years now, we have been serving the auto insurance needs of car owners all over Florida. We help in providing auto insurance in Orlando FL, the needed coverage for their autos. Since Insurance Land is an independent agent, we can get you quotes from over 40 automobile insurance companies to match your car insurance to your situation for the best possible rate. It pays to shop around for car insurance at Insurance Land. Online Auto Insurance Quotes are quick and easy! Save time and money on your automobile insurance. Insurance land is your reliable provider of auto insurance policies. We also have special car insurance payment plans with LOW down payments to make your auto insurance affordable. If you prefer to make your payments in installments, you can choose from affordable down payments and convenient monthly automobile insurance payment plans. 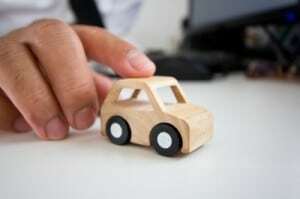 In many cases, Florida car insurance payments can be made by check or credit card or can be automatically withdrawn from your checking account. Choose an insurance payment option that works best for you. With access to so many auto insurance carriers, we can provide coverage for virtually any automobile or driver in the state of Florida. We have ULTRA PREFERRED tiers that reward good responsible Florida car drivers as well as the not so preferred. Insurance Land even provides car insurance Florida coverage for the hard to place automobiles from foreign, high-performance sports cars to the 4×4 trucks and sport utility vehicles. All Vehicles, All Drivers, All Situations! Request a Florida car insurance quote today. Need more than basic Florida Auto Insurance? At Insurance Land, we are always ready to offer you the best auto insurance policies. We provide the best car insurance policies that cover your autos no matter the extent or cause of the damage. Our qualified team of insurance experts will help you shop around for the best, most affordable auto insurance in Florida. You will be offered the needed pieces of advice, and guidance to make you purchase a policy that offers all the needed car insurance Florida policies without paying high premiums. Our insurance offices are conveniently located in central Florida. The Deland office is off of N. Woodland Blvd. Sanford office is on S. French Avenue. For more information, see our contact page. Request a Florida Automobile Insurance Quote Today! Are you in search of a highly affordable auto insurance Orlando, Florida? Call us today at Insurance Land to request a car insurance quote. Our auto Insurance in Florida gives you the rest of mind that irrespective of what might happen, your cherished fleet of cars are well protected. The type of auto insurance in Orlando you get from Insurance Land will adequately cover all your cars.